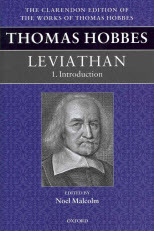 From the publisher: Hobbes’s Leviathan is one of the most important philosophical texts in the English language, and one of the most influential works of political philosophy ever written. This is the first critical edition based on a full study of the manuscript and printing history. It is also the first edition to place the English text side by side with Hobbes’s later Latin version of it, complete with a set of notes in which the many passages that differ in the Latin are translated into English. So, for the first time, readers of Leviathan will be able to see every stage of the development of the text at a single glance. Both texts are fully annotated with explanatory notes. The editor’s Introduction, which takes up the whole of the first volume, gives a path-breaking account of the work’s context, sources, and textual history. This definitive edition will set the study of Hobbes’s masterwork on a new basis. 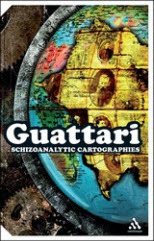 From the publisher: Schizoanalytic Cartographies represents Félix Guattari’s most important later work and the most systematic and detailed account of his theoretical position and his therapeutic ideas. Guattari sets out to provide a complete account of the conditions of ‘enunciation’ – autonomous speech and self-expression – for subjects in the contemporary world. Over the course of eight closely argued chapters, he presents a breathtakingly new reformulation of the structures of individual and collective subjectivity. Based on research into information theory and new technologies, Guattari articulates a vision of a humanity finally reconciled with its relationship to machines. Schizoanalytic Cartographies is a visionary yet highly concrete work, providing a powerful vantage point on the upheavals of our present epoch, powerfully imagining a future ‘post-media’ era of technological development. This long overdue translation of this substantial work offers English-speaking readers the opportunity finally to fully assess Guattari’s contribution to European thought. From the publisher: Recent research across the disciplines of cognitive science has exerted a profound influence on how many philosophers approach problems about the nature of mind. 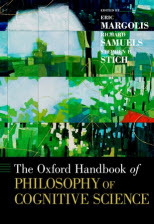 These philosophers, while attentive to traditional philosophical concerns, are increasingly drawing both theory and evidence from empirical disciplines — both the framing of the questions and how to resolve them. However, this familiarity with the results of cognitive science has led to the raising of an entirely new set of questions about the mind and how we study it, questions which not so long ago philosophers did not even pose, let alone address. This book offers an overview of this burgeoning field that balances breadth and depth, with articles covering every aspect of the psychology and cognitive anthropology. Each article provides a critical and balanced discussion of a core topic while also conveying distinctive viewpoints and arguments. Several of the articles are co-authored collaborations between philosophers and scientists. From the publisher: In 1935 Edmund Husserl delivered his now famous lecture “Philosophy and the Crisis of European Humanity,” in which he argued that the “misguided rationalism” of modern Western science, dominated by the model of mathematical physics, can tell us nothing about the “meaning” of our lives. Today Husserl’s conviction that the West faces a crisis is no longer an abstraction. With the ever-present threat of nuclear explosion, the degradation of the oceans, and the possibility that climate change will wreak havoc on civilization itself, people from all walks of life are wondering what has gone so terribly wrong and what remedies might be available. 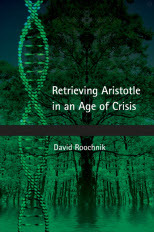 In Retrieving Aristotle in an Age of Crisis, David Roochnik makes a lucid and powerful case that Aristotle offers a philosophical resource that even today can be of significant therapeutic value. Unlike the scientific revolutionaries of the seventeenth century, he insisted that both ordinary language and sense-perception play essential roles in the acquisition of knowledge. Centuries before Husserl, Aristotle was a phenomenologist who demanded that a successful theory remain faithful to human experience. His philosophy can thus provide precisely what modern European rationalism now so painfully lacks: an understanding and appreciation of the world in which human beings actually make their homes. From the publisher: This fourth volume in the series devoted to Jean-François Lyotard’s writings on contemporary art and artists presents nine essays on general aesthetics and the theory of art. They are published in the original French along with English translations on facing pages. 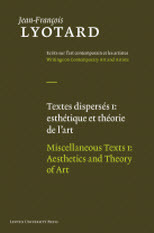 Most of these texts, preserved in the Lyotard archives of the Bibliothèque Littéraire Jacques Doucet in Paris, are published here for the first time. They do not reveal ‘another Lyotard’ than the one whom we know through his major writings. Nevertheless, they cover the whole period of his production, from 1969 to 1997; and they make the development of his philosophy of art explicit. After the ‘libidinal’ conception of art in his early writings, the ‘Kantian twist’ of around 1980 places his view on art under the aegis of the sublime. These essays specify what, for Jean-François Lyotard, the hand of the painter means, as well as the gaze of the viewer, enamoured with resonant colours.